Welcome to the Artisans homeworld. Here you will be able to access the six levels that reside in this area before moving on to a second dragon world. The Artisans homeworld is merely a place for you to get to grips with the controls and the general feel of the game. As soon as you arrive, walk forwards a bit and step onto the circle at the base of the green crystallized dragon. A short dialogue will then occur, this will happen each time you free a dragon, but it will be slightly different each time. If you should ever want to watch/listen to the dragon again, simply step onto the circle and select Replay Dragon from the menu that pops up. Incidently, to save your game, stand on one of these circles and select save game. Also, in order to save your position within a level, so that if you die you don't have to go all the way back to the start, simply walk over the circle, it will flash a lighter colour as you do so and now anything that you've killed up to this point will stay dead when you die and when you do so, you will be transported back to the last one you walked over before you died. You should now set out to explore this world. Collect all the gems around and flame or charge all the Gnorcs that you find. 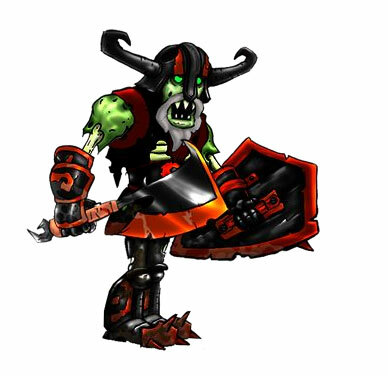 These range from a simple Gnorc who will just run away from you, and only requires a simple flame or charge, to a different kind of Gnorc which requires three flames before you get all the gems out of him. Location - Directly after the tunnel in the main area that leads to the area with towers. Once you have gotten all 100 gems and freed all four dragons in the homeworld, it's time to move on to one of the levels within the Artisans. Let's start with Stone Hill as it's the first portal you are likely to spot. The portal to here is located in the main area of the Artisans world. Almost impossible not to see it. You start off in a huge open area which is inhabited by a few large Rams who will attempt to hurt you by charging at you. Charge them right back. You may also notice a well in the centre of the area as well, there is little point going down here just yet. When you reach the area with the Return Home whirlwind, jump off the side and over the wall to a beach below. In the cave down there you will find a key. You can now return to the well in the middle of the starting area and jump down into it. Open up the locked chest in there to get some gems. After the third tunnel, you will find yourself in an area much larger then before. Here you will find several Rams as well as Shepherds who will hit you with their crooks. These can be charged, but while you do kill it, you will rebound like you were hitting a wall, which will give any other enemy nearby enough time to attack you. Once you've got all the things you want from the ground, head into the tower in the middle of the area to get up to the top. Up here you will find a dragon. From here, glide over to the grassy area on top of the walls of where you were confined on the ground. You can now run around here and collect some gems. When you come across a thief holding an egg who taunts you, chase after him as fast as you can. He is about as fast as you so you will need to outwit him in order to flame/charge him to get the egg back. It may take a while but you should eventually get there. Once you've got all the gems in the level, either head back to the Return Home whirlwind, or press START and choose Exit Level. Either way, you return back to the Artisans homeworld. And, just in case you didn't bother to try out the Spyro the Dragon demo that you may/may not have got in the same box as the game, you should note that while you no longer require absolutely to use the Return Home portal, in the demo version of the game, the portal had the last gem of the level inside it, forcing you to go through it. This was obviously removed from the final game, I'm guessing because it wasn't a very noticeable place to put a gem, therefore making the player search the level for hours for one last gem if they hadn't realised that it was there. Next we head to Dark Hollow. The entrance to this level is in the small maze in the main area of the Artisans home. The first Gnorcs you'll see are now equipped with a trusty metal shield that is useless. Although it can sometimes prevent you from flaming it, it won't stop you charging them. Also, there are a couple of larger Gnorcs that are also wielding a shield. However, this shield is wood, and the Gnorcs are well over twice the size of the others. These will just require a simple bit of flaming, as charging is ineffective against them. Up the platform set in front of you and to the left is one of these large Gnorcs. And to the right of him is a Crystallized Dragon. Location - At the top of some stepup platforms next to a large Gnorc, just across from the locked chest. When you travel down the green steps, you will meet a large Gnorc that will take up the entire passageway. When he turns round flame him, as his armour will prevent flames when he is facing you. Location - In the only cave of the level, on a platform in some water. In the same place as you find Oswin, just down a bit from him is the key to the locked chest outside near the start. Once all gems and dragons are freed, head back to the Artisans home in whatever way you like. The next portal is up the tower with a whirlwind in the middle. Directly in front of you is the fodder for this level. Scrawny chickens. From Nils, glide across to where a Bull is running around. These bulls can be die in two slightly different ways. One is to flame them, this kills them right off. The second is to charge into them. This will release their gem, but it will knock the bulls backwards a little and stick them into the ground by their large horns. You can leave them there, or you can charge or flame them again to end their misery. Also, around here you will find a chest that when flamed, a gem will pop out of the top. When it does so jump up and grab the gem, this will smash the chest and you will get the gem. You should also realise that to continue on with the level, you glide down from where this chest is, across to another platform. At the top of the stairs just past the first large fountain, jump up onto the green platform, then glide around the corner of the stairs in order to land on another platform. Here, you will find another one of the thieves. Chase him down, making sure not to fall off anywhere. After catching him, jump over the gap at the end of the tunnel to yet another platform, then head a bit to the left and jump off the end, down onto another platform with a couple of bulls running around on. Here you will find some spinning things, flame these about three times (more if you're slow at flaming) until the spinning thing flies off and the container smashes. You should also note that the direction you are facing in affects where the spinning thing goes, it can be aimed at some nearby enemies in order to blow them up from a distance. And that should be that. Town Square completed. Yup, not yet to Toasty. One more level before that. Head on over to the waterfall and jump on all five of the stepping stones there until they flash yellow. A wall will slide down and a portal to Sunny Flight will be revealed. This is the first of several flight levels throughout the game. The aim here is to achieve a number of tasks within a strict time limit. Each thing you do will get extra time for the level. From where you start, head down to the right and into a cave with several gold chests in. Follow it along flaming each chest as you go past, until you get to a large circular area with yet more chests in. Go around clockwise flaming the chests and once you get them all, head back along the tunnel. From here, head to the left and go through the green arches all the way until you reach a place with lots of airplanes flying around. Flame all of these, it's best to get the ones coming towards you, but you can also chase them down. Once done, head through the two archways nearby to complete those. Then head down to the railway track and fly along it in the opposite direction to the way the trains are going. Make sure to flame the trains as you go. When you reach the last train, and have flamed it, the level is complete. 300 Gems are yours. Select No when it asks you to try again (unless you failed, in which case select Yes) and you're back out in the home of the Artisans. Head to the corner of the main area and into the slightly smaller area where you found Argus. Here is the portal to Toasty which should now open up for you to go into. This is your first 'boss' level. There really isn't much different to this one then any other, except that there's one enemy who you fight a few times. From where you start head along the pathway and you'll notice the Shepherds that were in Stone Hill. Here instead of Rams, they have Dogs. These Dogs will require two flames to kill, and they will jump at you, trying to flatten you. The attack is usually quite difficult to avoid, but it can be done. Move along and into the building. Kill all the Shepherds and Dogs here and head out of the window. Along here are some more Dogs and Shepherds as well as more gems. Head back into the building and free the dragon. Now for the big boss fight with that scary looking scarecrow thing. First get rid of the dog in the usual manner. Then flame the scarecrow. He will drop a gem and run off into a new area, this time with two dogs. Again, kill the dogs and flame the scarecrow. His robes, head and scythe will then disintegrate to reveal a sheep on stilts. And again, flame the three dogs and him, this time he is ended. Gather the gems and head off to the Return Home whirlwind if you have everything complete. That's all for the Artisans now. You can head off to the Peace Keepers. To do so, head down to Marco the Balloonist and talk to him. He should let you go straight away. It's time for the Peace Keepers home world. I played this game too much as a child, and now I can beat the game in 2-3 hours. A faster way to get the dogs: Walk within flaming reach, flame once, jump and while you're jumping flame again. Sounds hard but it's really not. for anyone who is struggling with the dogs in toasty, its quite easy if you just keep as far away as you possibly can, flame it once, simply move into a different space for a second while he does his jumping and squashing business, wait until he's settled down and flame him again, a bit of a slow process but it works, and you keep full health hope this helps! I really want to murder those dogs. Argus is my favourite dragon, god i love this game! i think marco and other ballonists are crabs..
Hmm.I'm not really sure anymore?! I Know It's Hard To Understand. Just Look At The Key Basics. Hmm,Yes.OR,he could be his own species! ?